The platform served as a virtual battleground as the events at the Westgate Mall in Nairobi took place. Shortly after the massacre at the Westgate Mall in Kenya, the alleged terrorists, al-Shabab, began tweeting about their motivations from the now-suspended account @HSM_Press. A handful of accounts, most tweeting in Arabic, cheered on the terrorist unit still inside the mall. A tweet translated from Arabic. After tweeting a series of names of alleged gunmen still inside the Westgate Mall, a second account, @HSM_Press2, was quickly suspended by Twitter. The al-Shabab Twitter accounts have been suspended twice already this year: Once when they posted pictures of a French soldier they killed and threatened to murder Kenyan hostages, and earlier this month after threatening Somalia's president. Alabama-born Islamist militant Omar Hammami (right) and deputy leader of al-Shabab Sheik Mukhtar Abu Mansur Robow. 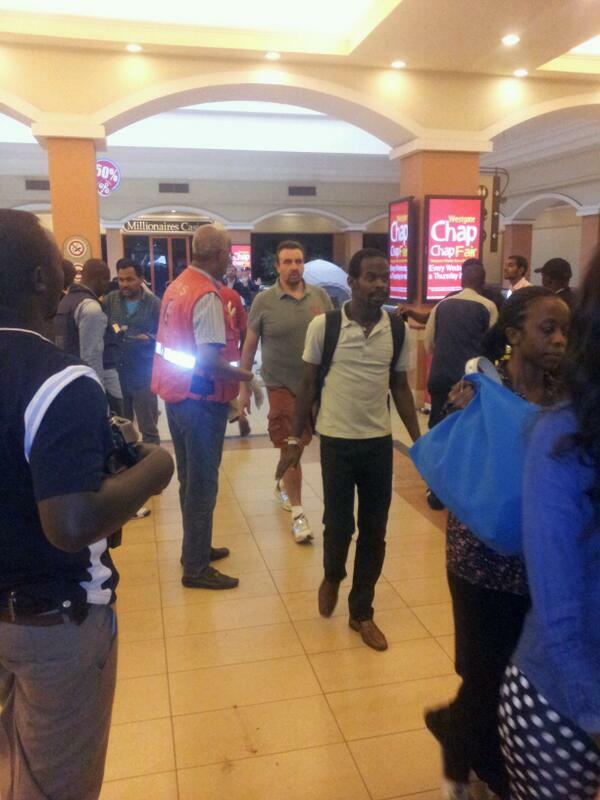 As the hostage situation inside the mall continued, leaders and organizations from Kenya also used the social networking site to communicate new information and volunteer opportunities, and try to keep morale up. This will end tonight. Our forces will prevail. Kenyans are standing firm against aggression, and we will win. David Kimaiyo, the inspector general of Police National Police Service, updated citizens and offered help to those still looking for family members. Many of the accounts urged users not to speculate or spread information if it had yet to be confirmed, and not to share any photographs of the victims. We&#39;ll inform you on briefings. Kindly avoid picking pedestrian statements. This is a sensitive matter which needs verification. We'll inform you on briefings. Kindly avoid picking pedestrian statements. This is a sensitive matter which needs verification. 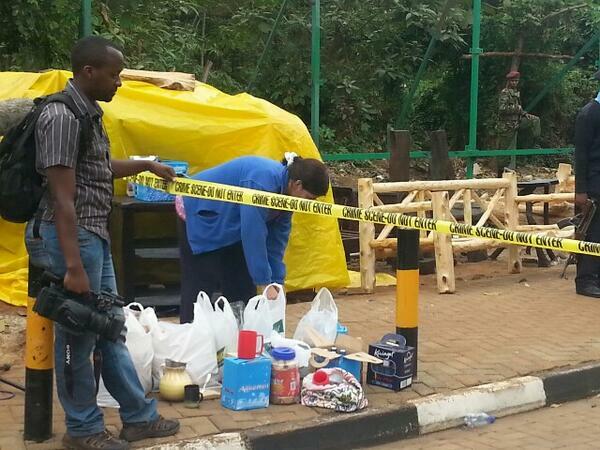 Devastated Kenyans turning to Twitter to express their grief embraced the hashtag #WeAreOne. No Act of Cowardice and Terrorism will ever make me less of a Kenyan. I will fly my #Kenyan Flag higher!